#7 Can Virtualisation Save You Money? Can Virtualisation save you money ? Are you paying too much to back up your virtual servers? Are the costs of backing up multiple servers stopping you from doing it, potentially leaving your data at risk? A virtual server is, as the name suggests, a server that is virtual rather than physical. Think of it like a digital server that has no physical components. These are kept on a physical server. They come with a benefit that multiple virtual servers can be kept on a singular physical server. And this means you can save on physical space and money – as a result of this, they cost less! Plus, these work almost the same as a regular server, except aren’t physical. Of course, you’re limited to total amount of physical resources available. You can’t magically create hardware, unfortunately! Virtualisation became a thing because companies were trying to be more efficient with resources and making the most of their money. And it was common for servers to have spare resources for busy periods and maybe future growth. Makes sense, right? However, because of this, servers would only be using 10% of their resources. So to combat this, virtual servers were created, so that multiple servers could be kept on a singular physical hardware server. The result being that servers now often use 80% of physical resources which much more cost effective and efficient. Think if you had the option to choose between creating 5 virtual servers or buying 5 physical servers which could be the best value for money? Remember not all the physical servers will likely not be fully utilised. Physical servers is like driving an empty bus around, whereas virtualisation is more driving like a bus full of passengers. It utilises more of the potential. Virtual servers work by using Hypervisor, something that acts as a translator between the physical hardware and the virtual ‘hardware’. Each virtual server only needs to talk to the hypervisor (not the hundreds of types of hardware) which means that the Virtual Machine’s are portable between physical servers. A VM is saved as a couple of files. One as a configuration file and the other which is the whole server and its data. The traditional way. This is where each Operating System has a backup software installed to it and then you have however many backups you need running individually. You can instead have a single machine that runs at the hypervisor level which will back up the server images. An ‘image’ in this sense is essentially a singular file containing everything. Including a virtual server’s Operating System and all the data associated with it. In other words it simplifies the process. It’s saved in such a way so that all the data can be saved in one pass and is easy to manage. This is important if you were to have multiple virtual servers running on one machine. So it makes backup management easier. The advantages of backing up at a Hypervisor level are that it is much easier to maintain. This is because only one instance of the backup software is running. This means that you can pay for one only one license, which can help you save a lot of money. The disadvantage to this method is that you can’t have application specific backups as it saves it all as an image, as mentioned above. If you want to learn more about what an application backup is, you can read about it in our ‘Types of Backup’ blog post. Now that you understand the basics of what a virtual server is and how it could potentially benefit your business, so now you can think about if it would best suit your situation. If you’re struggling to decide if this would be right for you, or maybe you’d just like some help or more information, then you can contact us here. We’re happy to help in any way we can, so you can make the best decision for protecting your data and get peace of mind that your data will be as safe as it can be. Also, if you’re interested in finding out any more about backup you can read or other blogs and watch our short video guides here, hopefully they’ll be useful for you! Remember, backing up your data is easy to do. But it’s just as not to. 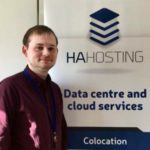 ← 3 Months at HA Hosting? !